We have been inspired by the Reggio Emilia approach and the Suzuki Method. Our goal is to help each child grow and learn in all areas of human experience as it fosters cooperation, caring, confidence, action, intellect, knowledge, beauty, and inherent motivation. 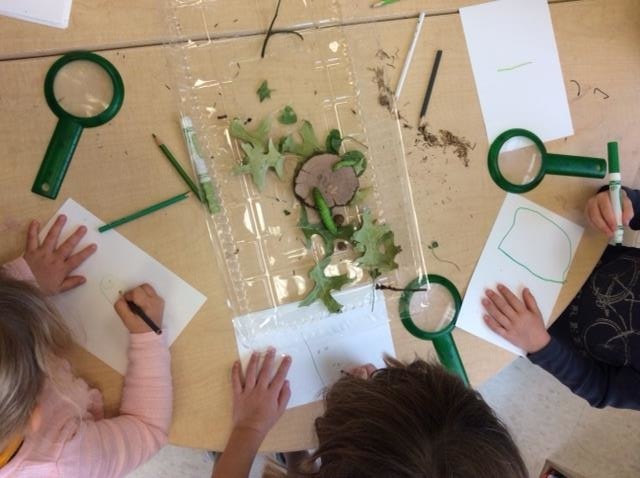 Project based learning and Emergent curriculum are interwoven to create a curriculum that values children’s ideas and promotes in-depth investigation of those ideas. It begins by listening to what children wonder about and continues as a creative collaboration between child and teacher. Teachers respond to children’s actions and thoughts to rouse further thought and deeper understanding of concepts. Projects emerge individually, in small groups, or with the entire class. 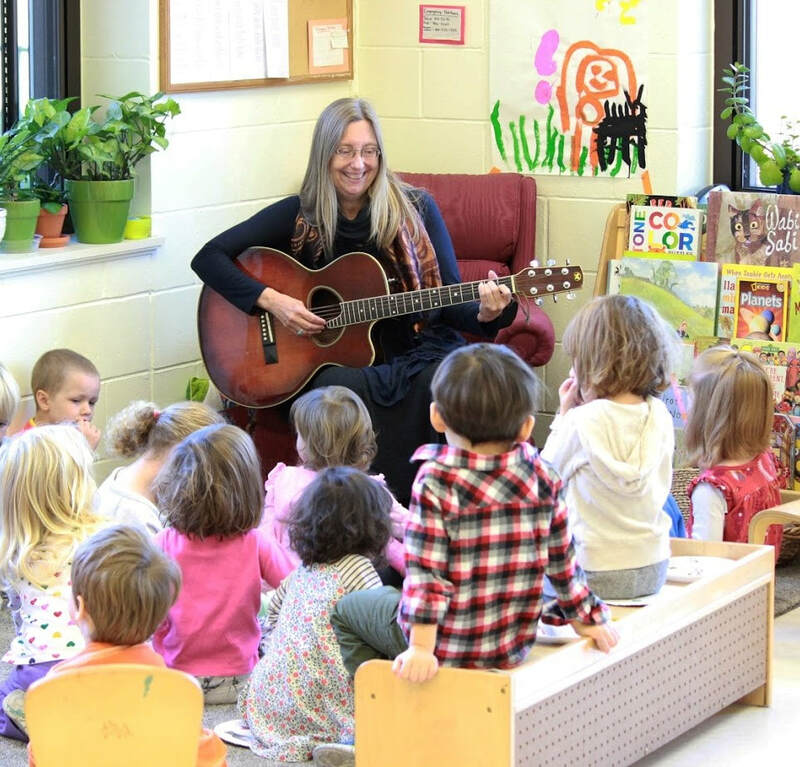 Music and art are woven into our day as children are immersed in an art-rich environment. Children have daily music with our trained music teachers, working in small groups, individually, or with whole classrooms. They work on pitch, tone, rhythm, and most importantly, experience the joy of music. Our art studio is available daily for all children to explore. The primary goal of the art studio is for children to recognize what it means to have an idea and put it in motion. 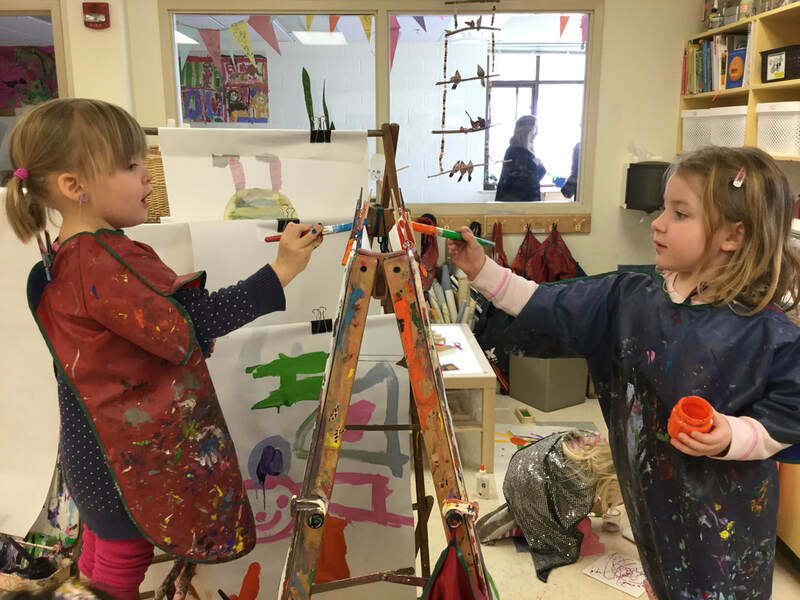 The art studio is a haven for their creative risks and whimsy. Children explore the world and its natural phenomena in our spacious playground. Sand, mud, water, grass, logs, and stones are just a few of the natural materials that are accessible. Children develop large muscle skills as they whiz around on tricycles or scale the climber. 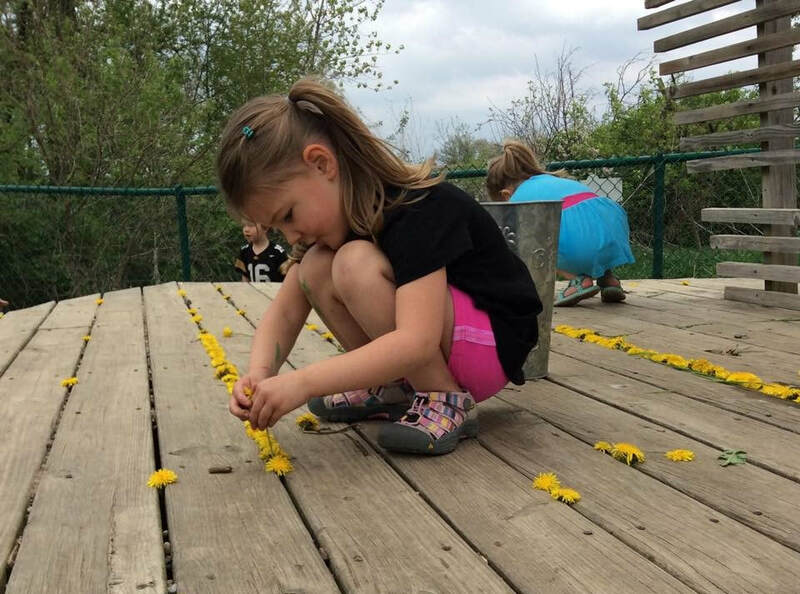 In addition, classroom materials are often brought outside to be explored in new and different ways. "Nature School" days spent at Harvest Preserve offer opportunities to explore our Earth.